Edit October 2018: Google for Entrepreneurs has been rebranded in Google for Startups. We’re thrilled to announce Google for Startups as the latest official global partner of Techfugees for 2018-2019. Equipping our community of entrepreneurs, engineers, designers, researchers, humanitarians, investors and policy-makers with the tools, contacts, and space they need to grow. 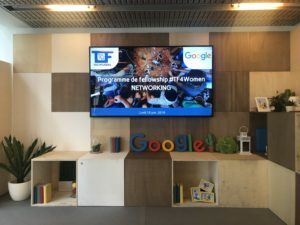 Techfugees will be connecting our local chapters with Google for Entrepreneurs partners all around the world, including a network of inspiring tech hubs and Google Campuses, to build more bridges between our communities. Strengthening our core team with increased capacity to support #tech4refugees innovators, making the tech industry more welcoming to displaced people, and raising awareness of their talents. Few companies recognise the importance of an inclusive, ethically-led tech community quite like Google. Rarer still are those who recognise how essential it is to involve refugees themselves in that ecosystem before its impact can be truly sustainable. Google for Entrepreneurs understand what it takes to build a movement like this and, with them leading the way, we hope to see more companies following their example. With this big announcement, we’d also like to acknowledge those who helped us get this far. Special thanks go to the team at Schibsted, the Norwegian media group and global leader in online classified. They’ve supported Techfugees from day one, joining us as our first global partner three years ago and sticking with us for the long haul. 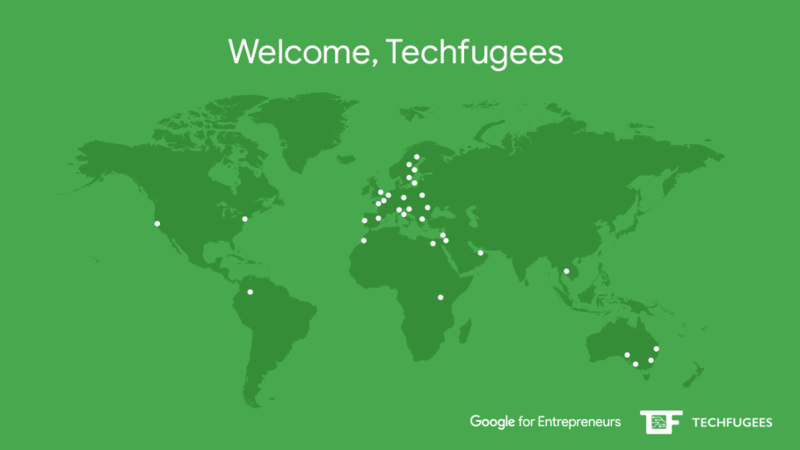 Thanks to this support, Techfugees has expanded to 25 countries, produced a comprehensive database of #tech4refugees pilots and projects, culminating in the creation of our 8 Guiding Principles. Another major tech company supporting us on this journey confirms a pressing need for scalable tech solutions to address the growing refugee challenge confronting us all. To celebrate this exciting partnership, October 25 sees a senior Google representative join us as opening speaker of the Techfugees Global Summit. There, you can also catch a stellar lineup of tech innovators pitching their solutions to the challenges of migration in our Global Challenges Competition. Not only that, our CEO, Joséphine Goube will be at the annual Google for Entrepreneurs partner summit, Trailblazers, in New York this week. For the latest from these, and all our other events as they happen!